In 1855, the original townsite was established by three territorial commissioners who claimed this site as the county seat. An estimated 25,000 acres of apple orchards in and around Troy made it a major shipping point for local fruit growers in the 1920's and 30's. While in Troy, be sure to visit the famous "Tall Oak" Monument on the south lawn of our historic courthouse and the Fred Baker House where Lincoln stayed before giving his famous Cooper Union Address. 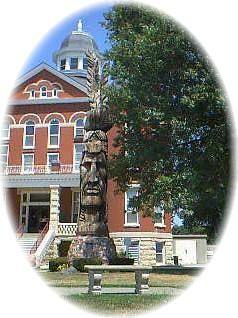 Troy is located in NE Doniphan County on US Highway 36. Doniphan County has 1,365 acres of walk-in hunting.